I think it's safe to say this one is "outside the box". My curiosity is definitely piqued here. Please do take a break after this game, when you’re ready make a movie. In the link...Kojima says Sony told him they've never seen a game develop as quickly as Death Stranding. And he's readying a suprise announcement in 2018. Could this slip into Q4 2018? Way too early for this thread. We won't be seeing Death Stranding until 2062. - disgruntled Xbox, PC, Switch, Sega, Intellivision, mobile gaming and board game fans everywhere. He says it takes "3-5 years. Some games take 10 years." Actually I have no idea how involved he is with overseeing the development team, but the dude is kind of a crazy genius. ...or do you just mean there is going to be an announcement in 2018? If so, that's not really a suprise. That's Squeenix level announcing right there! Not at all. Assuming they started full pelt production in late 2016 once they decided on the Decima engine...well Infinity ward started on their next Call of Duty game after Infinite Warefare shipped in November 2016, we wont see that until November 2019. The only way this will arrive before the 2020s is like Belly says and they release a playable prologue....or the scope of the game has been oversold and its a 300 minute 'experience' like Hellblade. If this were a western dev, id say 3 years is your best expectations. This is a Japanese dev....and Kojima. That seems to suggest things are shaping up quicker than we thought. I suspect the announcement is a release date and that release date is 2019. Didn’t that lil Welsh fellow, his name escapes me, passively/jokingly say that “don’t expect it any time soon or on time” or something like that in the interview after the VGAs or PSX? Anyways, my guess is whatever Kojima planned for the game has now been split into a trilogy. Like how MGSV turned out, Konami pushed him to release part of it as Ground Zeros. Which maybe it worked, even though we never got the latter third/final bits of it all. Troy Baker and Emily O’Brien have joined the cast of Death Stranding. features some big names from film and TV, and they'll be joined by veteran video game voice actor Troy Baker, and writer and actress Emily O'Brien. 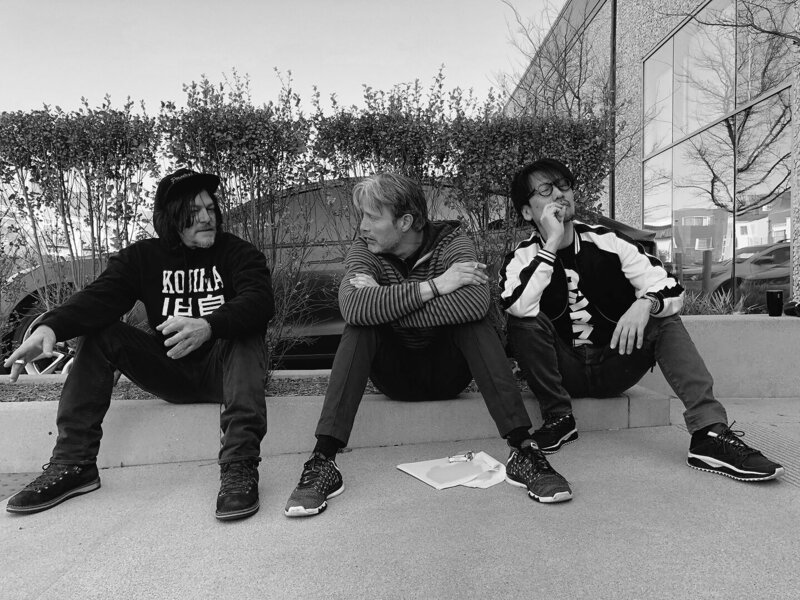 O'Brien shared an Instagram post of herself with Norman Reedus and Troy Baker, writing, "Honored to be working alongside these two fine lads on [Hideo Kojima's] new project Death Stranding." So, it’ll be like MGS V multiplayer, meets Sea of Thieves/Destiny and I dono maybe Monster Hunter? Death Stranding actor Norman Reedus recently claimed that Hideo Kojima's mysterious PS4 exclusive has 'elements of social media', and now co-star Mads Mikkelsen has confirmed that the gameplay 'needs collaboration from different people from different parts of the world'. Mikkelsen shared this tidbit and fresh insight on Hideo Kojima's creative process while talking to Total Film magazine during the Cannes film festival for the premiere of his new movie, Arctic. The Hannibal star is convinced that Death Stranding will break new ground. "It’s wonderful, and I can tell from the little things I’ve seen – some things, it’s not done yet – but I’ve never seen anything like this. And he’s not happy with it yet! It’s going to be ballistic," Mikkelsen claims. This will be a PS5 title won't it? Surprised to see Lindsay Wagner on the project. He doesn't give much away. Talks about the goal being to connect the world, or make connections, something like that. And then there was something about the connections being "global," which in my mind suggested a multiplayer component, but I am probably reading too much into it. I am very interested in this game, although it's definitely high-concept. Games are becoming such a broad spectrum now, and I like that. It's obviously not for everyone. I used to watch the Six Million Dollar Man!!! Me, too. And then of course Lindsay Wagner played the Bionic Woman, who got her own spinoff series. I never liked either of them much, but my sister did, and so we'd sit there watching it, making fun every time they'd go into that slow-motion "ch-ch-ch-ch-ch" thing. So we're all in agreement no one knows what this game is about? Onto PSX or next E3 to find out what it is actually about.